Whenever I eat sweet potatoes, I noticed that the spike in sugar is not too high! I tested my sugar after 2 hours and it only increased by 19! After a dinner of ribeye steak strips, buttered vegetables and sweet potatoes the other night, my before breakfast reading was only 122! 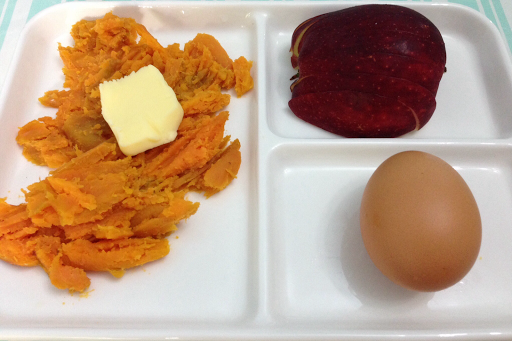 Breakfast- sweet potato, hard boiled egg and half an apple. 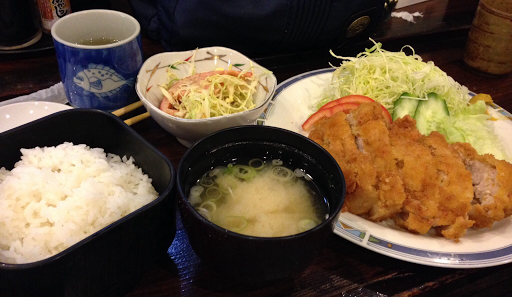 I had lunch with my sister at Kikufuji. I had the tonkatsu meal. If you look at my food, it seemed so innocent looking! Soup, rice, vegetables and pork chop. My merienda was Fish Tacos of Bon Chon. I have a fish tacos obsession. When I checked my blood sugar before dinner it was 347! Susmariosep! I therefore conclude, if I dine out, the rise in sugar is very high! 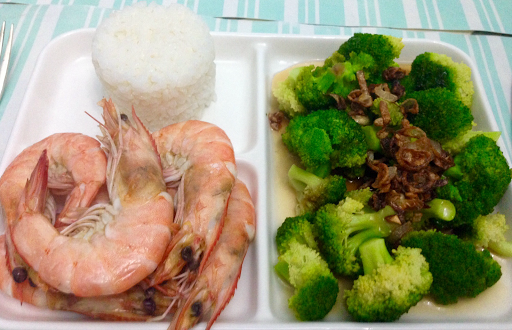 A simple dinner of broccoli with toasted shallots and oyster sauce, 175 grams of boiled shrimps and half cup of rice. I got hungry at 1:30 in the morning! 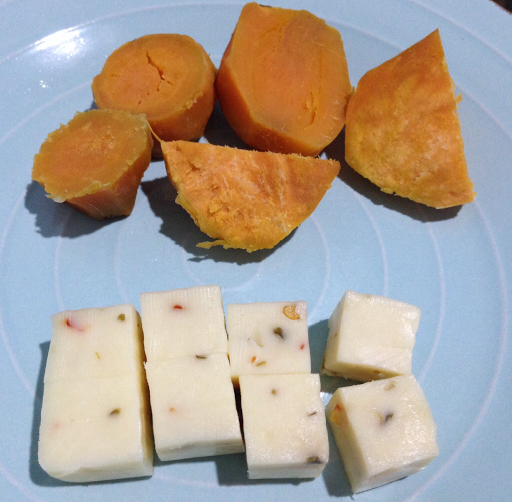 I ate a few pieces of sweet potato and Havarti Jalapeno cheese. My reading was 156 before breakfast. That is still high but not as alarming as 347. I really have to test which food could trigger an abnormal spike in blood sugar. 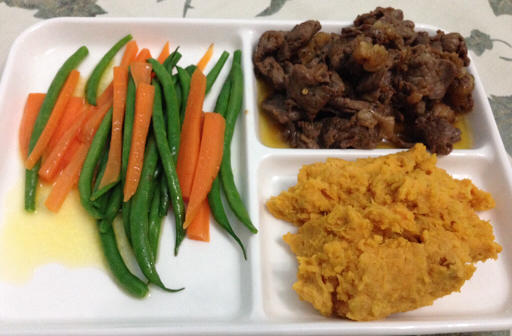 For now, the sweet potato is a good carb option for me.